Custom-designed event websites can be pricey. Qtego handles it all for you with clean, modern pages incorporating your logo, colors, and branding. Our easy-to-read format generates pre-event buzz among your guest list, regardless of age. And interactive features make your event more attractive to sponsors—further increasing your success. Event Homepage Sections – Customizable, by you! Did you know that 90% of adults use their phones to shop? 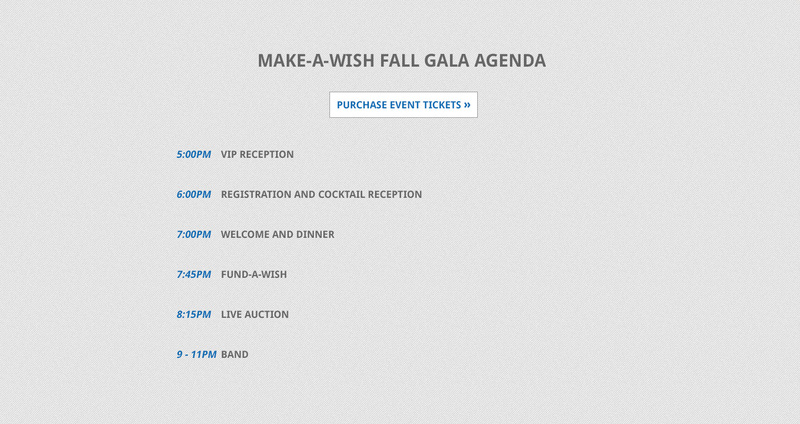 Our fundraising event homepages are completely mobile-friendly. Your guests can easily see the details for your event, buy tickets, and register in advance—all on one convenient website page. Our professionally designed event homepages work on any internet-enabled device. Our event homepages streamline your fundraising event—reducing headaches for you and your guests. Your custom-branded homepage makes all event information easily accessible in one spot. And our large font sizes and clean design makes it simple for guests of all ages and demographics to see and interact with the information. Engage donors whether or not they can attend your event. 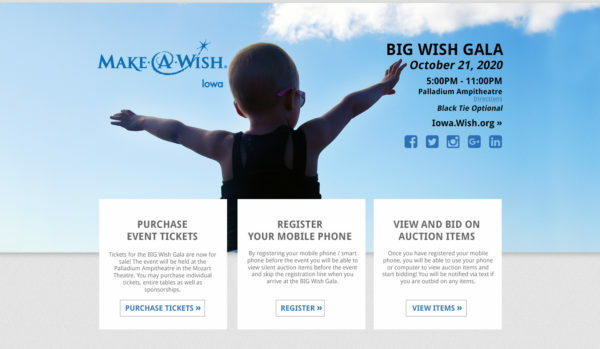 Use your fundraising event homepage to raise awareness for your cause, highlight and attract sponsors, and spotlight auction items. Embedded video and photo options build excitement for the event, and event highlights and logistics make it easier for guests to decide to register and attend. You’ve got to see this in action.